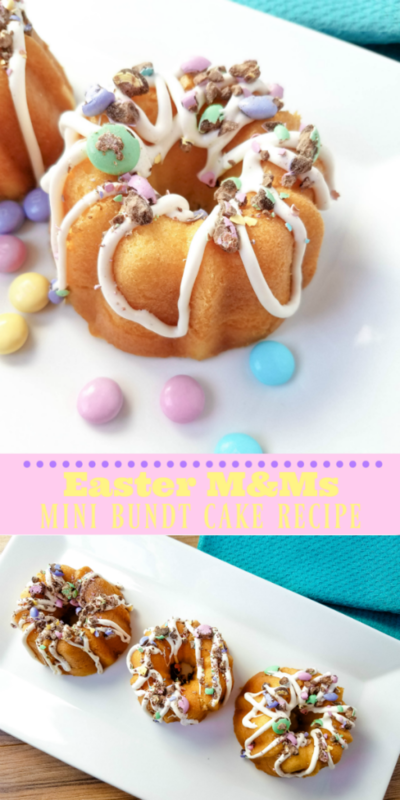 You wouldn’t believe how easy it is to make mini bundt cake recipes from cake mix, and today I am sharing this super adorable and very delicious recipe with Easter M&Ms sprinkled on top. 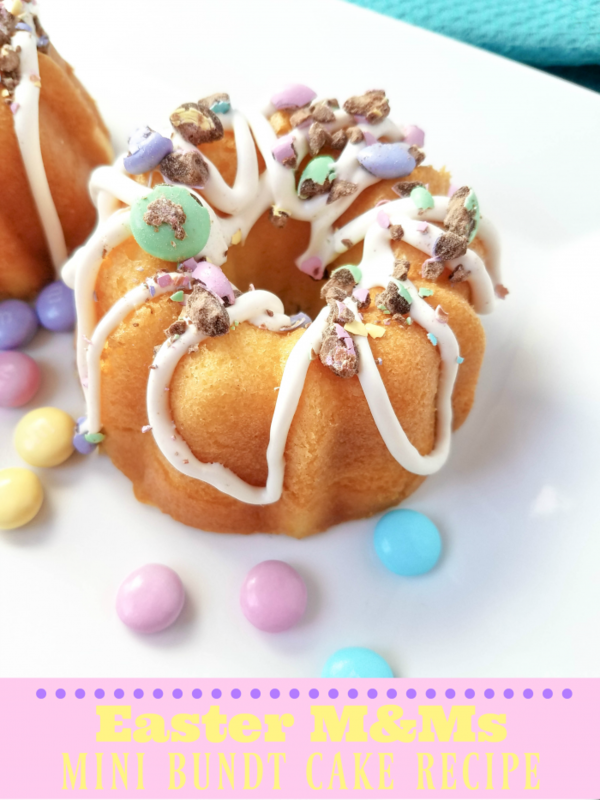 This is a simple recipe, and these cute mini bundt cakes are perfect for your Easter celebration. Best of all, it all starts with a cake mix, so you can skip all of the hard work! 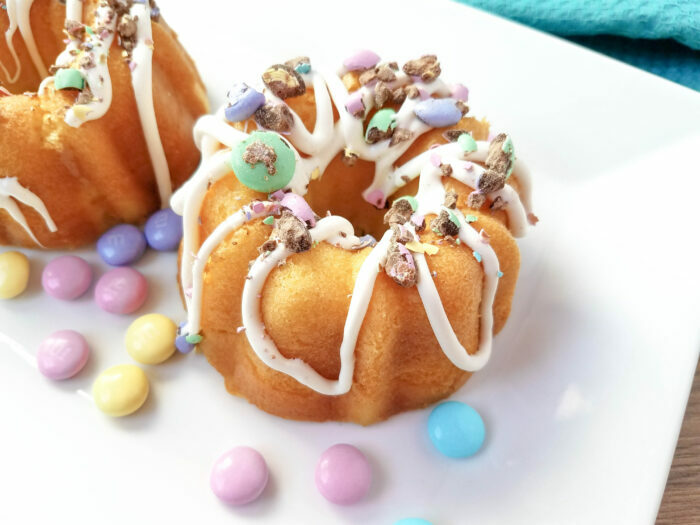 A bit larger than cupcakes, these mini bundt cakes with Easter M&Ms are the perfect size for one person to enjoy, or you could even cut one in half to share with a friend. 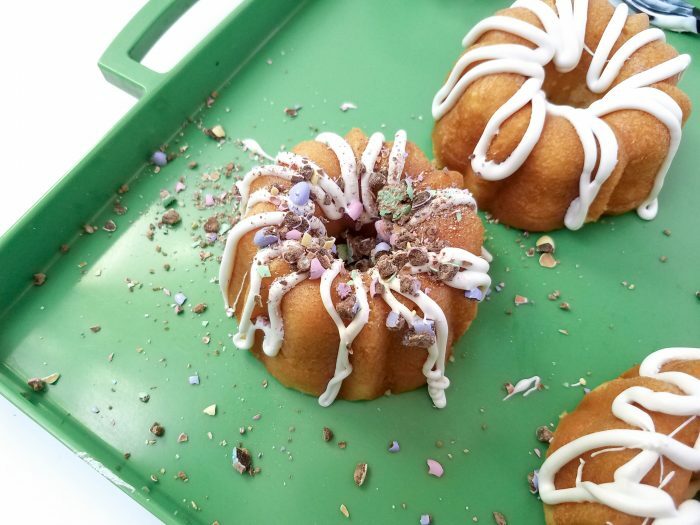 Since this is one of my mini bundt cake recipes from cake mix, you can whip up a batch of these delicious bundt cakes in no time at all. 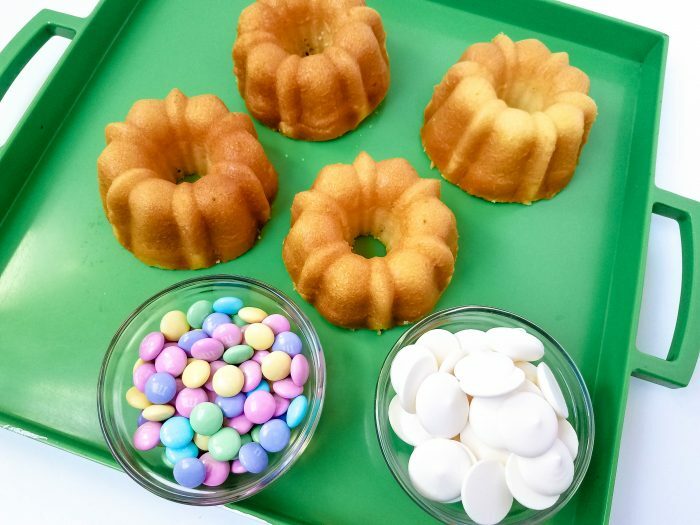 Just follow the directions below to make your Easter M&Ms mini bundt cakes. Fill each cavity half way full with cake batter. Discard any leftovers. Bake for about 18-23 minutes, until ?toothpick inserted in center comes out clean. 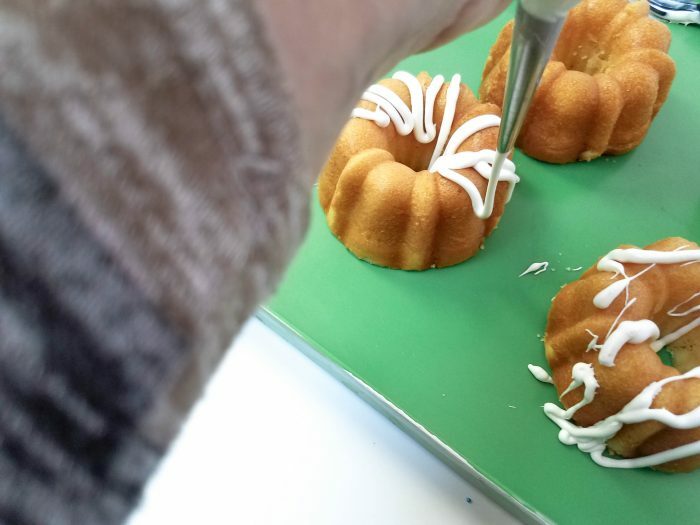 Get a piping bag ready. 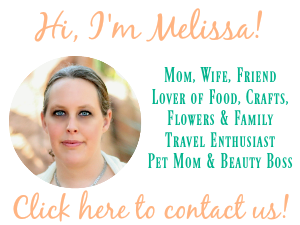 You can choose to use a mall tip, or none at all. Melt the candy melts in a microwave safe container for 1 minute, stir and repeat in 30 second increments if not fully melted. Drizzle over cakes, in a back and forth motion around each cake. See, I told you these were easy to make! 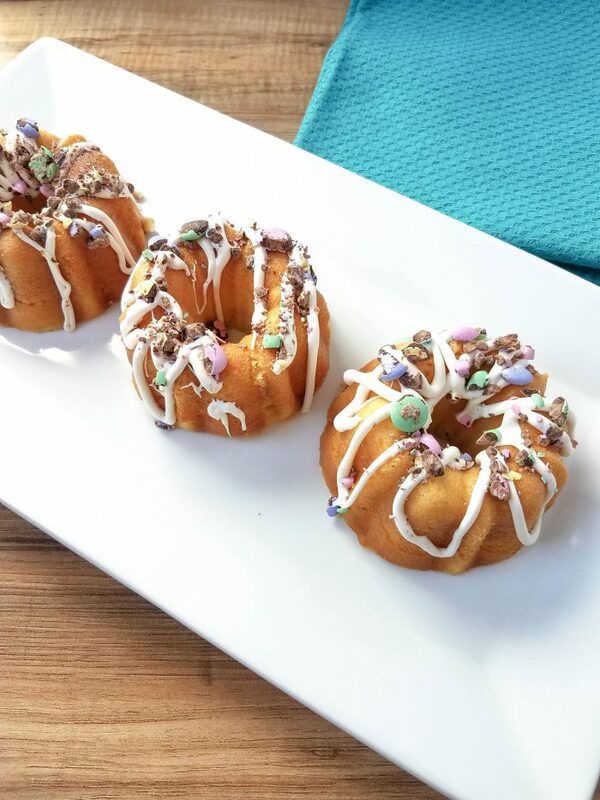 If you’re looking for other yummy Easter treats, you should try these Robin Eggs Rice Krispies Nests and these Easter Nest Cupcakes with Peeps. These look amazing! I’m glad it’s an easy recipe.